← Dinner Parties @ Home – my first time cooking a Chinese meal! This year has so far been one of those years when public holidays work in our favour – we owe the Easter bunny a very big thank you! I heard from a friend that Cathay Pacific experienced one of their busiest days of the year on Friday March 30th, when many packed their bags, hopped on a jet plane and disappeared for 9-10 days. 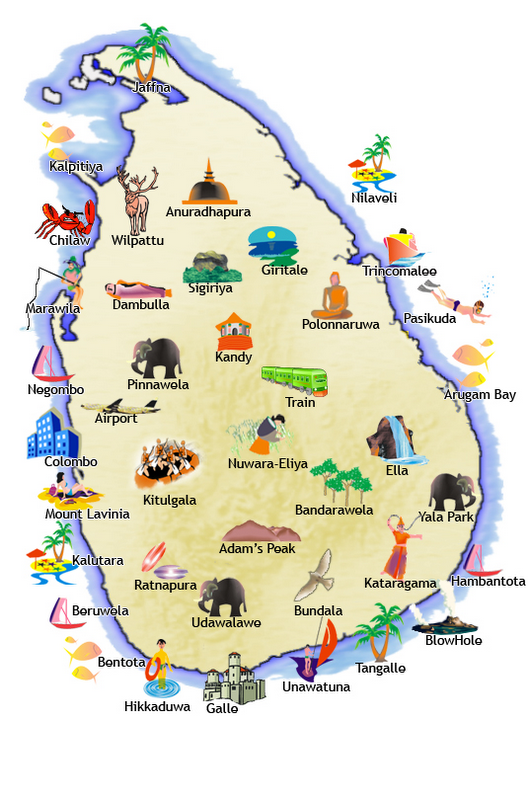 We wanted a holiday with equal parts adventure and relaxation, and Sri Lanka was our destination of choice. From the white, sandy beaches in the south, through the Hill Country where magical morning mists float between mountains, to the Cultural Triangle steeped in history, we have collected memories (and 908 photographs!) that will last a lifetime. 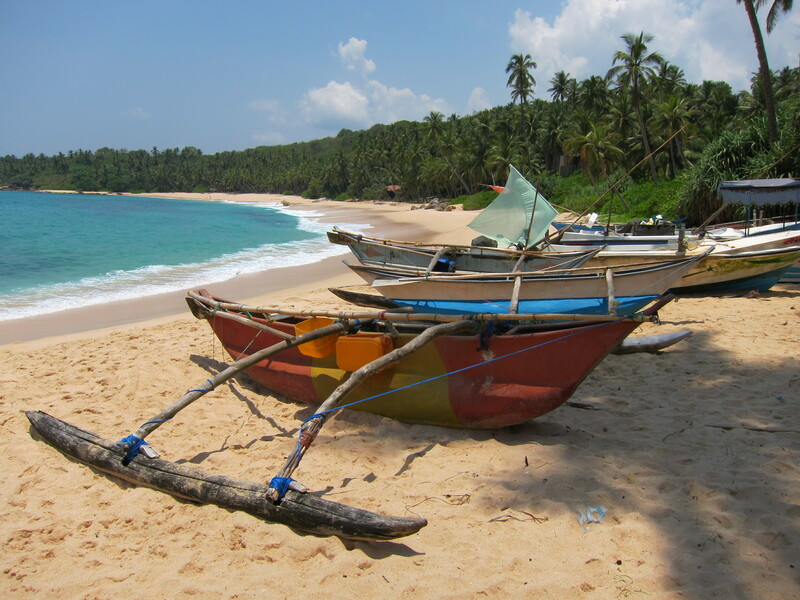 Our first destination was Tangalle in the south for some beaches, pampering and relaxation. We found throughout the trip that most often, tourists choose to start from the Central Province and move downwards to end their trip on the beaches. We decided to do the opposite, without detriment to our enjoyment of the holiday. 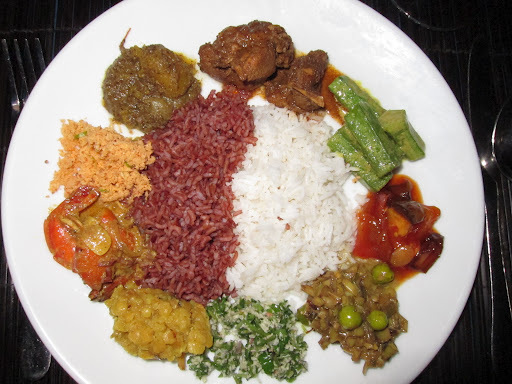 Sri Lankan cuisine is a flavour party where curries, accompaniments, sauces and sambols all hit the dance floor together. 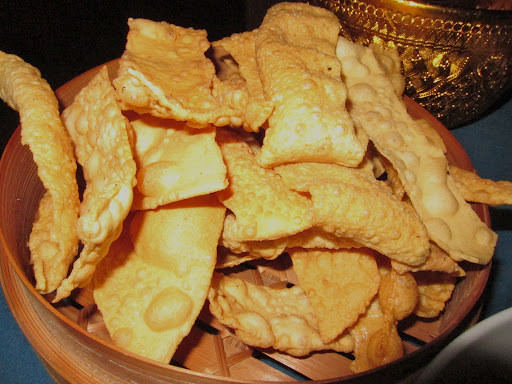 It is a food culture that has it’s own distinct identity, and yet the influences from other countries are present in the flavour and ingredients. 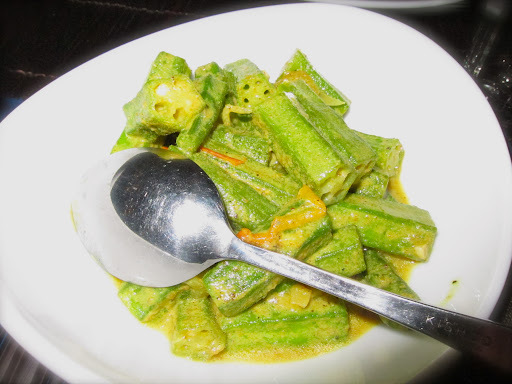 The most obvious influences are of course from Indian cuisine, but there were some dishes that reminded me of my Oma’s homestyle Indonesian cooking as well. 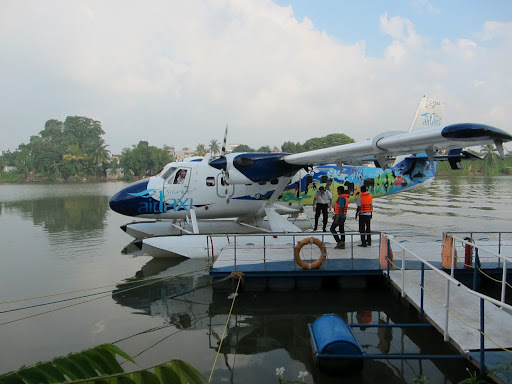 Our Twin Otter sea plane arrives at the ‘landing strip’ in Peliyagoda (the sea plane doesn’t depart from Colombo airport) to Dickwella. 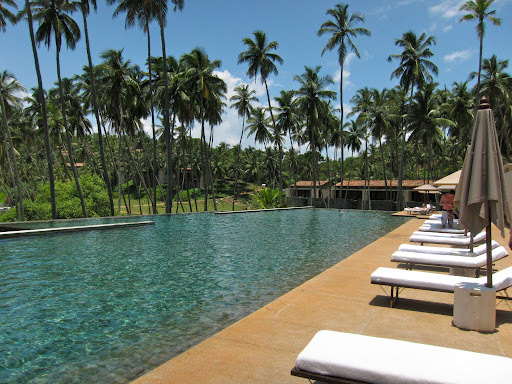 The Amanwella Resort provides a complimentary pick-up service from there to the resort. Check here for information on the service to the Aman resorts. 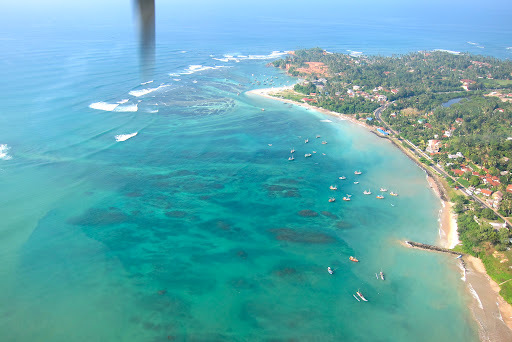 Air Lanka also operates seaplane service to several other destinations, but the Air Lanka website is pretty sh*te. Here is a great link for more information. 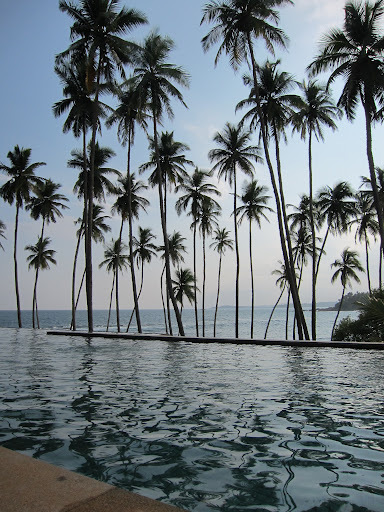 Poolside at Amanwella … heaven! PB thought himself quite a bit more adventurous and healthy for ordering a tuna burger 🙂 It was quite an original taste though, with the more flavourful tuna patty, teriyaki sauce, pickled tomato and lemongrass mayonnaise, yum! At Amanwella, you have the choice of the Main restaurant above the pool, another smaller restaurant at “Coconut Grove” (the beachside restaurant), and room service. 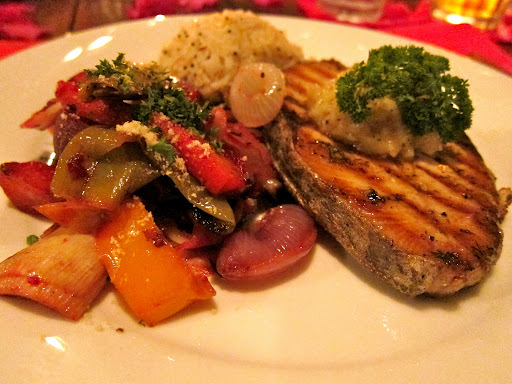 Although the menu at the restaurants rotate daily, all of the options seemed to be on the room service menu, so I’m sure if you wanted something that is not on the menu, your request could be accommodated. “Coconut Grove” conjures up images of grass-roofed huts, fresh coconuts, bean bags and comfy chairs, and maybe a little band playing some local music. Rather disappointingly, it was a black and grey cement open-aired pavilion. It was minimal, empty, and silent but for the sound of the waves crashing to the shore … but as PB mentioned correctly, my image of Coconut Grove is not really Aman’s style. We chose to have both of our dinners at other villas in the area. On the first evening we visited The Last House, named as such because it was the last project of one of Sri Lanka’s most distinguished architects, Geoffrey Bawa. 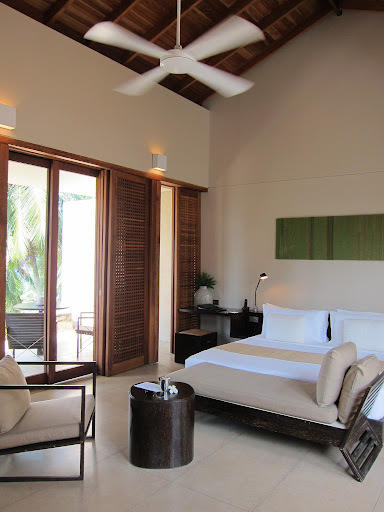 A 20 minute drive away from Amanwella, it is a stunning villa styled as a boutique hotel. Pillared verandas, open-aired spaces, and colourful walls and furnishings give this place a super-chilled out vibe, and I almost felt like I could have been in Bali. We were impressed with the meal but in hindsight is certainly wasn’t one of the best of our trip. 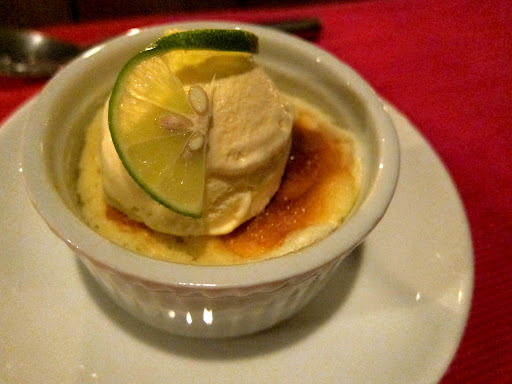 The pudding was really wonderful, similar to a souffle in texture and well flavoured with sweet and sour lime. 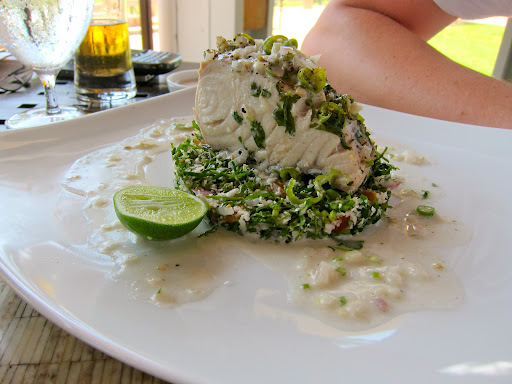 I had never heard of Seer Fish before, but it’s one of the most prevalent fish on menus. 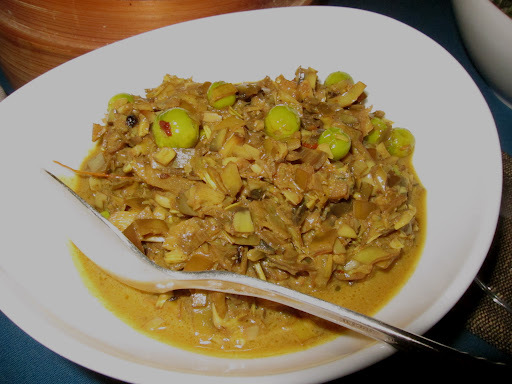 It is a member of the mackerel family, quite meaty but not overly fishy, and it is considered a delicacy in Sri Lanka. The next morning, our room service breakfast was served on the villa terrace. The small outdoor table was transformed into a sumptuous private dining table with crisp white linens, and the food delivered piping hot. 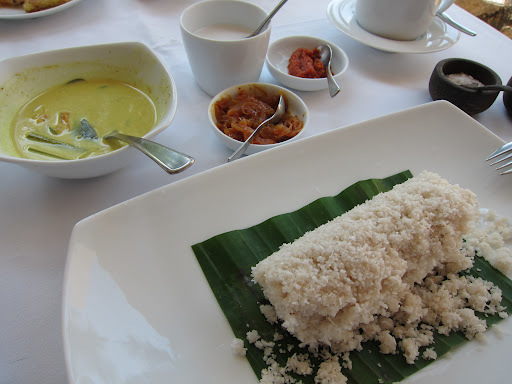 Once again, my order of a western breakfast was met with a chuckle from PB, who was much more adventurous and ordered a Sri Lankan breakfast. It was all washed down with a steaming hot cup of pure Ceylon Broken Orange Pekoe tea, and apart from the fact that they forgot the main part of the PB’s breakfast (the beef curry soon came, delivered by a speedy hotel tuk tuk! 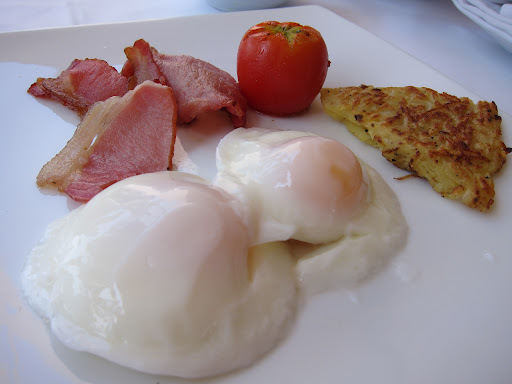 ), it was a perfectly executed lazy Sunday morning breakfast! I have always considered myself a bit of a breakfast traditionalist, but after I had eaten about a 1/4 of PB’s meal, I realised that a curry for breakfast isn’t all that bad. 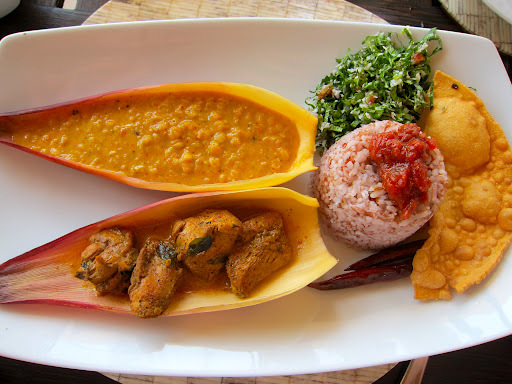 After our many meals in Sri lanka, we found that breakfast is the meal with the most variety, and the breakfast sambols were our favorites! In fact, the sambols were so yummy that we asked if we could have a little cooking lesson, and it was kindly arranged for us! We went into the kitchen and met the very friendly head chef and staff. 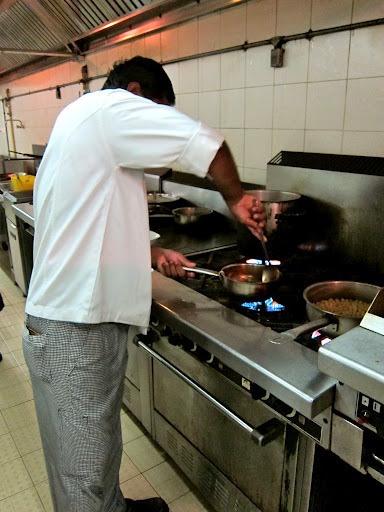 Have you been in a professional kitchen before? 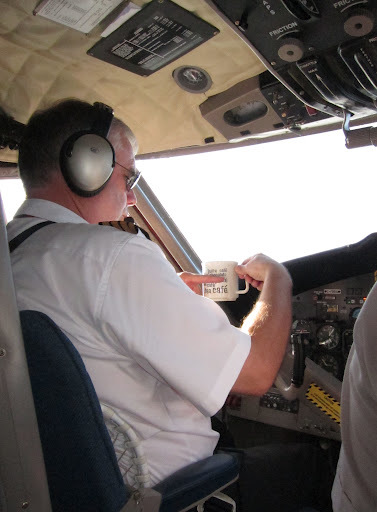 This was my first time, and you hear about how hot it is, but wow … it was bloody hot! 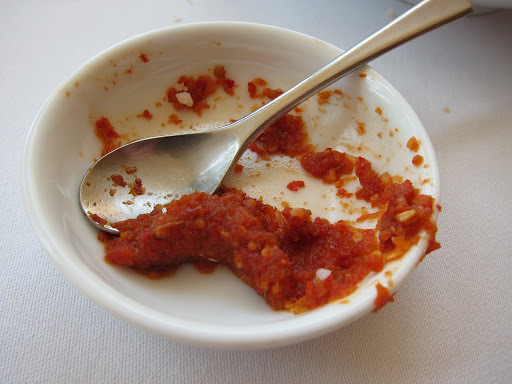 While the chef remained cool with nary a bead of sweat on his forehead, I only realised my sweat patches when I reviewed the photos that we took during the lesson (not pretty!). The staff were running around giving us ice water and cool towels, and I was like “It’s okay guys, no need to fuss, we’re fine!” D’oh! In a pestle and mortal (we used a VERY big one! 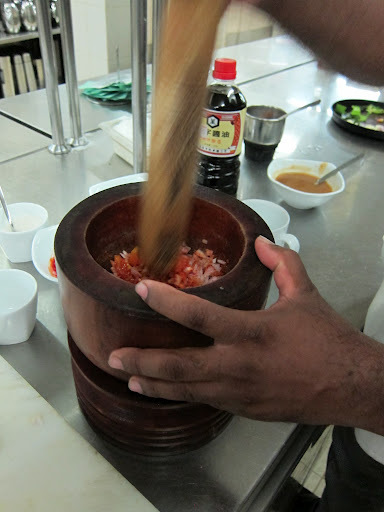 ), pound and grind the ingredients into a paste. 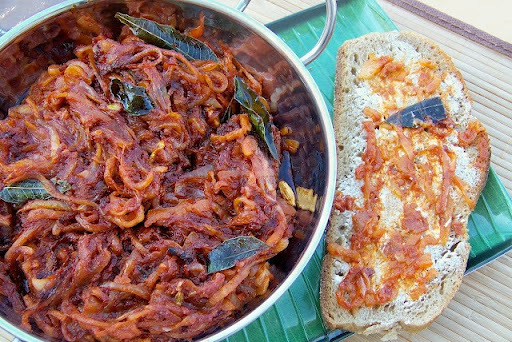 ‘Seeni’ means sweet, and refers to the caramelised onions that are the star of this sambol.Heat some oil in a frying pan, then add the curry leaves and mustard seeds. When the seeds just start to pop and dance around, add the sliced onion and cook until soft, around 5 minutes.Add the cinnamon stick, cloves, cardamom and cook while stirring for a further 5 minutes. Sri Lankan’s eat this for breakfast only, but I would eat it just as easily with a fry up in the morning, or as an accompaniment for dinner too! 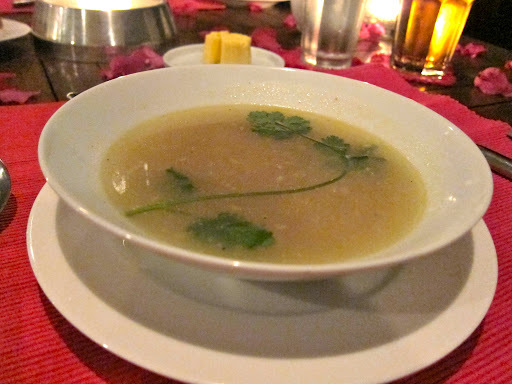 On the second evening we wanted to eat curry, having heard so much from friends who waxed lyrical about Sri Lankan food. And boy, did we get curry, and lots of it! 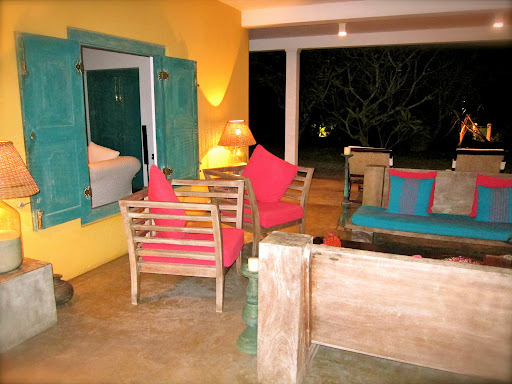 We visited Villa Maya, a 40 minute drive from Amanwella. 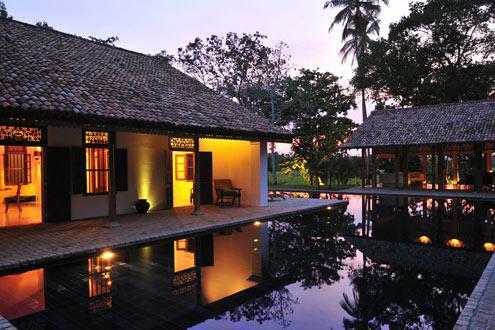 It’s quite interesting to read about the history of this beautiful Sri Lankan manor house, which has been converted into a boutique hotel by a British interior designer who lived in Hong Kong. We sat at a table in their open-air dining room by the L-shaped pool that wrapped around the property. 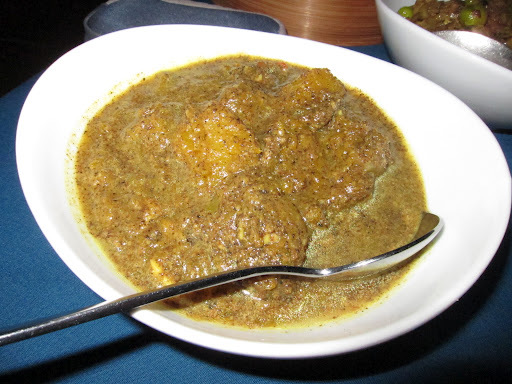 For their Curry Tasting menu, we were served 10 different dishes for the two of us – we could have fed a small army with it, and felt so guilty for leaving so much of it behind. I don’t think I have ever eaten so much curry in one sitting, but it was definitely one of the best meals of our trip, in terms of flavour more importantly, variety. 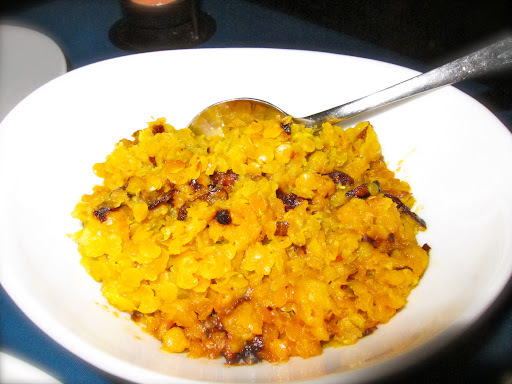 Pumpkin in Black Curry – outstanding. 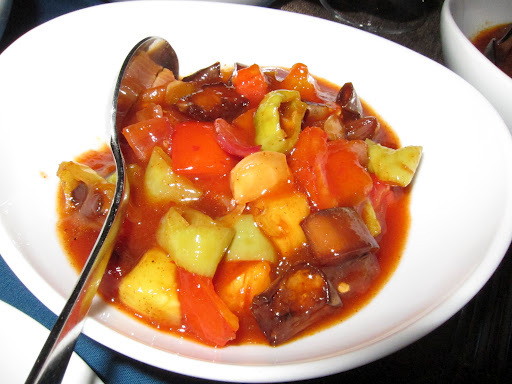 Brinjal (eggplant) Moju – I have a feeling that this dish was misprinted on the menu that we took away with us. 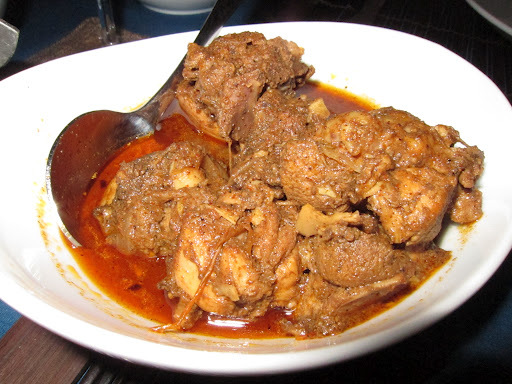 Either that, or this was not an authentic version of the dish. 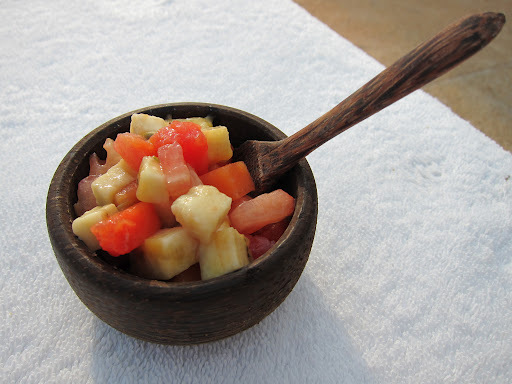 It tasted more like a Sri Lankan version of sweet and sour vegetables, the use of fruit chutney was apparent. 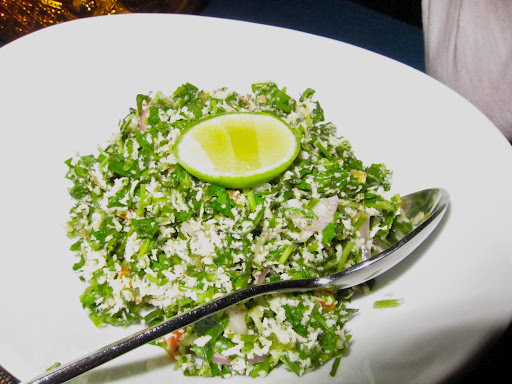 Gotukola Sambol – Gotukola is a member of the parsley family (although it tastes nothing like it), the leaves are quite crunchy, and mixed with grated coconut one could call it a salad of sorts, Sri Lankan style. It has also long been used in traditional Chinese medicine and ayurveda, and is said to be good for skin conditions, asthma, fever and high blood pressure. The next morning, we couldn’t face even the idea of breakfast, so we did a little body boarding on the beach before packing our bags and eating a final quick Amanwella meal and setting off for the next part of our Sri Lankan adventure! 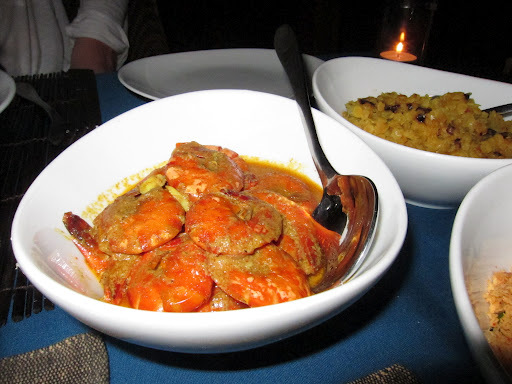 The food at the Amanwella was almost everything that you would hope for and expect from such a luxurious resort. You cannot beat it for presentation and freshness. 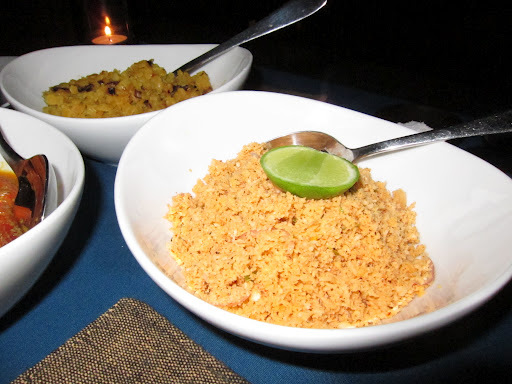 The only downside was the only limited selection of Sri Lankan fare on it’s menu, but what they had, they did well! Staying at Amanwella was the perfect way to start our holiday! I was a bit wary of the fact that we chose to stay in the best hotel first, what could possibly top it? But our experiences that were to follow were rich and plentiful, Amanwella helped us get our bearings and prepare our legs for the next few days of hiking, trekking, walking and traveling. After lunch, we hopped in the car and headed to Ella, with a quick stop over at the Udawalewe national Park for some elephant spotting! Coming soon!